Built for work or play, the Honda Jazz Sport is comfortable and powerful, and designed with thought behind every detail. It has a striking exterior, space enhanced interior styling and great overall efficiency. I took a test drive in this exquisite vehicle and found that it still remains true to its value and functionality. The Jazz Sport’s distinct styling and aerodynamic body gives it a streamlined profile and strong, sporty stance. A vibrant interior features a black-styled cockpit which matches its exterior. The red hue theme carries throughout the interior, with red-stitching on the seats, the console-mounted armrest and the leather-trimmed steering wheel. The Jazz Sport’s eye-catching, contemporary styling ensures strong visual appeal, a linear and aggressive look, steeply raked windscreen and sculpted flanks come together to form a streamlined profile. Its assertive style is complemented by short overhangs, a tapering roofline and wheel arches. Carefully considered design elements contribute to an overall impression of dynamic poise and capability. You can keep your hands on the wheel and drive with ease while enjoying the Jazz’s stunning interior. When you drive the Jazz there’s a lot more to see: a specially designed windscreen increases all-round vision and slim pillars allow light to flow through the cabin. Chrome detailing and coloured lighting illuminate audio features and switches creating a carefully integrated interior. With everything at your fingertips, you can concentrate fully on the road ahead. A 7-inch touch screen display audio gives you access to your phone contacts and music while the multi-information display allows you to monitor the length of your journey and your fuel consumption. Bluetooth is also available. The 1.5 Sport CVT has 97kW of power and 155Nm of torque, and comes with Anti-lock Braking System (ABS) and Electronic Brake-force distribution (EBD), as well as Hill-start Assist (HSA), as well as other safety features. The Jazz Sport is available in a range of stunning colours, including White Orchid Pearl and Skyride Blue Metallic. 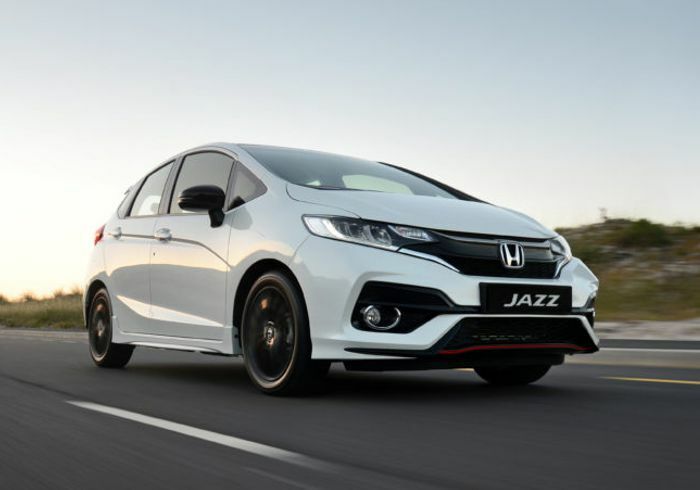 Contact Honda East Rand on 011 826-4444 for more information about the Honda Jazz Sport or to book a test drive.